Please look at these photos of my Nitro 6 14 metre. purchased November and used 12 times . As well as the 2 holes, you can clearly see where the stitching on the L.E (underneath) has worn through the edge of the canopy that touches it. I have sent a message to Switch support and am waiting for a reply. I have a element 1 that I used heavily from 2012-2016 (and it is still going strong). I have a Nitro 3 that is still going. Something is not right with this design or a batch of the nitro 6's has snuck through quality control with an issue. A clearer identification of the issue can be seen below. The first picture is taken from the underneath of my 2017 Nitro V6 12 m and it can clearly be seen that the tear in the canopy and wear mark runs parallel with the seam of the leading edge. When inflated and in its normal position the seam sits high on the leading edge and is rough on the more delicate material of the canopy. The second photo is taken from my at exactly the same location on my 2015 Ozone Catalyst. As is clearly evident there is no longitudinal/parallel stitching on the leading edge hence nothing to damage the canopy. Well that does explain a lot, including the staining because more pressure would be put on canopy at the LE stitching location. I will check, but I cannot remember any of my kites having a seam on the opposite side of the LE. New construction for the V6? Is that seam only near the wingtips by any chance? I can imagine that because of the more curved N6 wingtip compared to the V5, a constant curve LE would not be possible with only 1 piece of dacron, so 2 pieces were used. A bit like how Naish does it if I'm not mistaken. 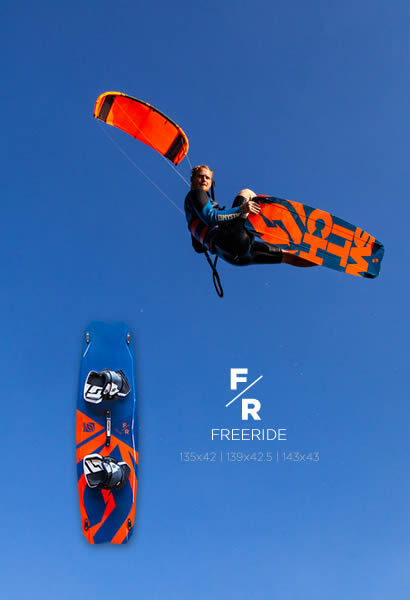 Not sure about the Naish kites Faxie as I have never used one. As for the Nitro I will shortly post some pics of the exact location (wind was too offshore and gusty today to get out). Kites are being modified tomorrow with reinforcing at this location, so I will also post some pics of the work that has been done. Felix has gotten in touch with me and is happy to be involved with repairs. Do not get me wrong, I love the Nitro V6. This has been my favourite model so far and as these kites continue to evolve and improve I look forward to future models and improvements. Picked up a 2nd hand nitro5 (my first switch) with a line worn along the canopy above the center strut's closing seam identical to the LE wear others have posted. Top layer of ripstop has started to tear & there's pin holes in the same location as gtalpo's first photo aswell. Deciding on whether to return it. Can any experienced switch owners tell me if this kite has much life left with this sort of damage? How long until the canopy completely tears through? Isn't the center a pretty high load area? Must constantly rub against the seams when flying & again along the center strut seam when inflating/ flagging on a beach. Reminds me of a piece of paper you fold back & forth before tearing a straight line through. Strange design to run the unprotected canopy over seams that sit proud when inflated yet looking through this forum others haven't had a problem, I'm confused. Hard to see from your photos. how ever it does look like the kite has had some use. I would love to see some better pictures. Some pulled back photos of the kite - also some other closer pics in better light. 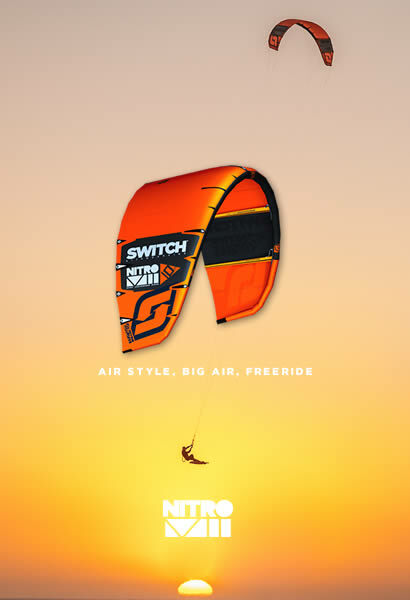 You can email me at felix@switchkites.com I then can better advise. After looking at the pictures of the Nitro series with the damage I had a look at mine, havent used them since december. I have a 9m +12m, I got them in august 2017, have used them a lot to december, from 15knots to 32knots, in 20C to 3C. Around +70 sessions on the 12 and +30 og the 9m if not more. I kite 3-4 times a week. My nitros have been rubbing the ground, crashing in the water and been put on the ground by a lot of people who didnt care,Ii self launch 80-90% of the time, with a spear and the kite in a horizontal position (Like when you put it at the end of the window) and they have no sign of problems or holes anywhere. I also always dry them and dust them of after use, some times inflates and some times just rolled out og the ground. I think packing up a wet kite or a kite fill with sand and let it be to next session will tear it a lot more of course, if it was not possible to dry them at the spot or get the sand of I unpack them at home to do it. Not saying that, that is not what other due but, as I can see it, the two in the first posts, one of the kites seems wet? It looks like it on one of them where you can see a imprint of the stitching on the edge? Last edited by jakoblondal on Mon Feb 26, 2018 9:45 am, edited 1 time in total. Had 6 pictures, so I have made a dobbelt post. Yep definitely used, just trying to gauge how much use is left. Concerned the tears are unavoidable as you can see the stitching isn't rubbed out around it & the scuff pad's fine. The kites I've used (parks, bandits) have the canopy sewn to dacron strips above the struts so I've no experience of this sort of wear. Sent some general kite photos to your email. I'd be returning it to the private seller not switch obviously in case that wasn't clear. Appreciate your quick reply (especially considering it's 2nd hand) & await your advice, cheers. From what I can see, it looks like it at the place the kite have been foldet time after time in the same place, maybe with some sand between? Strange its only at that spot. I would go to the private seller and ask for a refund or something, if he didnt mention it before selling.